See something you like? Click here for sample! PLEASE NOTE: samples of this design are scaled down to show more of the design and color. We set up the mural scale based on your preferences. After you place an order, we will send a digital proof of the mural, (based on how many panels you order), and you can request adjustments from there, if needed. • Each panel is 24 inches wide. 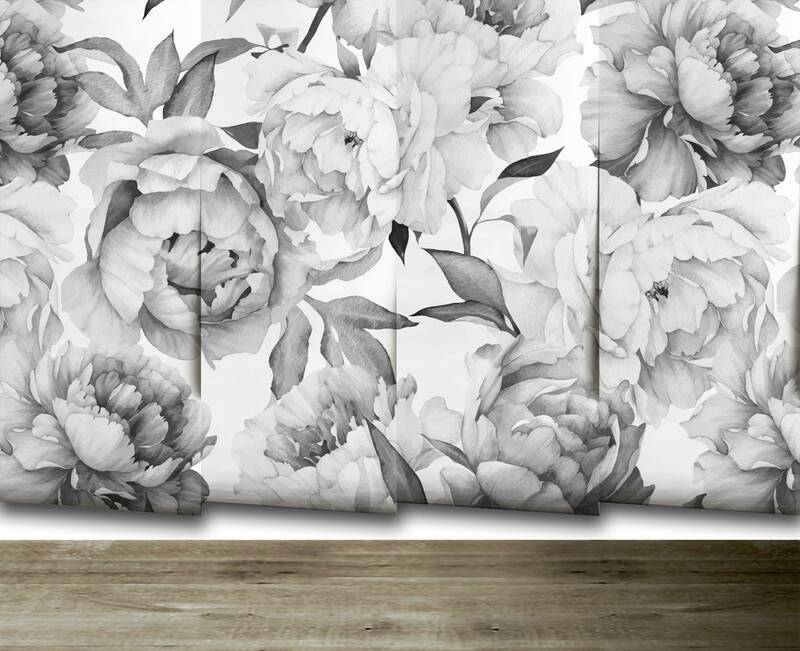 Simply order the number of panels you need in the height of your wall. We customize the mural just for you! • Your choice of thick, commercial-grade wall covering with canvas texture or traditional water-activated pre-pasted! Matte finish. Made start to finish in the USA. Non toxic, PVC free, formaldehyde free and eco-friendly! Good for you, good for the environment. • Peel 'n stick for easy install and damage-free removal. • Pre-pasted (water-activated) for traditional installation. Wallpaperie's pre-pasted paper removes in one piece with no wall damage! No scraping or scrubbing to remove. Wallpaperie'spre-pasted paper removes in one piece with no wall damage! • Make it yours with a custom color! Choose from the chart or make your own unique shade at http://www.colorpicker.com and send the code in the "notes to seller" upon checkout. • 3-7 day turnaround from custom print to ship! • How much do you need? Simply measure the width of your wall in inches, and add a couple of inches to account for wall variations. Then, divide that number by 24 and round up to the next whole number. For example, if the number you get is 5.2, then you'll need to order 6 panels. When you go to order, select the size option that is the height of your wall, and then select the quantity of panels needed (calculated by measuring the width of your wall in inches, dividing by 24 and rounding up to the next whole number). 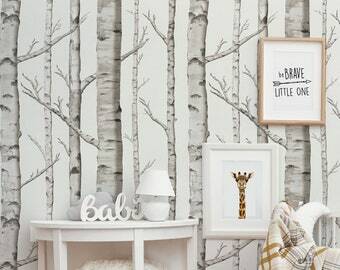 We'll print and cut the paper just for you so the panels match from side to side across your wall. No need to order extra for matching. • Because our wallpapers are custom made just for you, they cannot be returned or refunded unless there is a manufacturing defect. We want you to be COMPLETELY happy with our order, so you might want to purchase a sample first! We're pretty sure you're going to LOVE it! 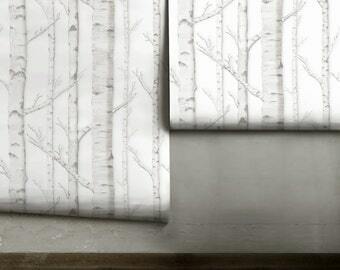 Botanical Toile | Ebony | Peel 'n Stick or Traditional Wallpaper | Made in the USA! 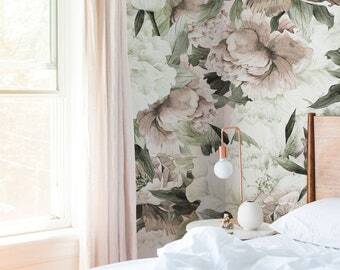 Multi-Color Pastel Floral Mural || Peel 'n Stick or Traditional Wallpaper || Made in the USA! 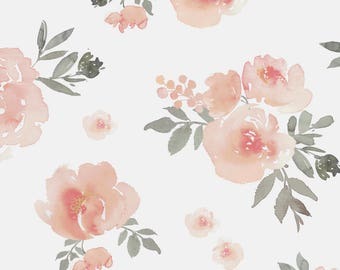 Cherry Blossom, Peach and Rose Floral Mural | Peel 'n Stick or Traditional Wallpaper | Made in the USA! 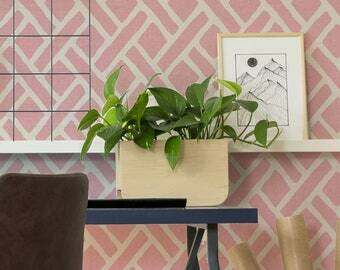 Persia Chinoiserie || Peel 'n Stick or Traditional Wallpaper || Made in the USA! 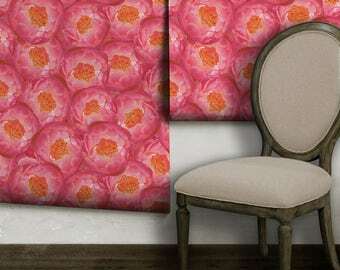 Romance Floral Mural | Peel 'n Stick or Traditional Wallpaper | Custom Colors | Made in the USA! Leopard | Peel n Stick or Traditional Wallpaper | Made in the USA! Such a great experience. We ended up ordering slightly less than what we needed and so there were two "gaps" in our wall. Amy at Wallpaperie sent us the missing pieces free so we could finish the job. And a beautiful job it was. Would definitely order from here again! Samples!! 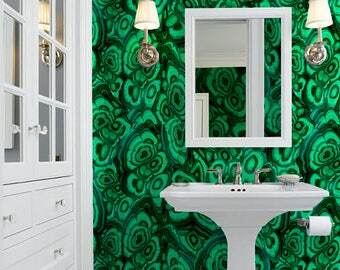 Removable & Prepasted Wallpaper BIG 15" x 9" + FREE Express shipping when you buy two! ** Please note design choice(s) @ checkout! After you place your order (and we work out any customizations), we ship your order via Priority Mail or Fed-Ex Home Delivery within 3-7 business days! Please make sure your shipping address is correct at checkout so you're sure to get the paper as quick as possible! Can I get the paper in another color? Absolutely! All of our papers are completely customizable! I don't see what I'm looking for, can you help? Yes! We can create custom designs just for you! Just let us know how we can help! Absolutely! Any of our designs are available on many different fabrics, for all of your home decor needs. We even sell matching pillows! How do I prepare my wall for peel 'n stick paper? Our paper works great on most flat, semi-gloss and gloss paint finishes. We highly recommend smooth surfaces. If your wall is rough or bumpy, peel 'n stick adhesives may not be able to fully adhere to the wall. We cannot be held responsible if any graphics applied to a bumpy texture do not stick. That being said, most applications should fare well. When installing ANY peel 'n stick paper, consult the paint manufacturer for compatibility, proper drying conditions and cure time (usually 30 days for full cure). Washable/Scrubbable paints may need to be primed before application of ANY peel 'n stick paper - check with your paint manufacturer to be sure. Can I use two coupons codes at once time? We are not able to offer stacked coupons at this time. 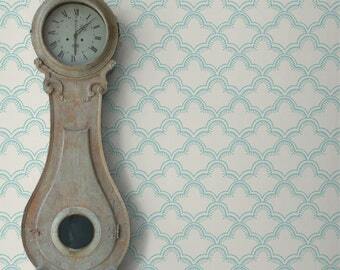 Nuage | Aqua Peel 'n Stick or Traditional Wallpaper || Made in the USA! 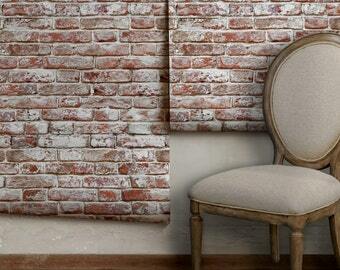 Whitewashed Antique Brick | Peel 'n Stick or Traditional Wallpaper | Made in the USA! Caroline Trellis Peel 'n Stick or Traditional Wallpaper - free custom colors!